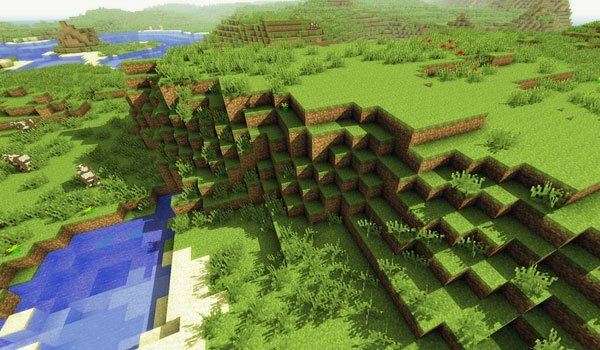 Create shadows in Minecraft with Sonic Ether’s Unbelievable Shaders 1.4.7, now available for Minecraft version 1.4.7. The shadows will be generated from the sun’s position, like real life. Every element of the game will have its own shadows, from the blocks, even trees, animals and even our character. We anticipate that this mod, consumes many FPS, be care of it. If you want to try it, we recommend installing the Optifine for Minecraft 1.4.7, to attempt to correct a little this FPS consume. How to install Sonic Ether’s Unbelievable Shaders for Minecraft 1.4.7? Paste all files from Modloader. Run the installer of Sonic Ether’s Unbelievable Shader mod.